Arrive at Port Blair airport and you are transferred to hotel. Check in the hotel and relax for some time. In afternoon proceed to the Aqua Fun Park for some water sports activities on direct payment basis. 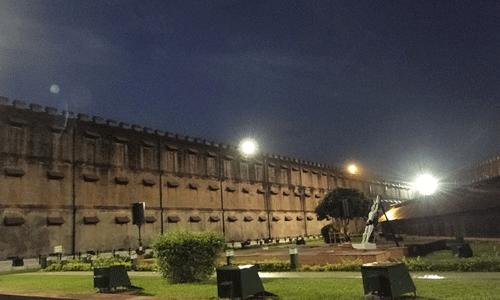 In evening attend the enthralling Sound and Light Show at Cellular Jail where he heroic saga of the Indian freedom struggle is brought alive. Later after show return back to the hotel.Overnight stay at the hotel. 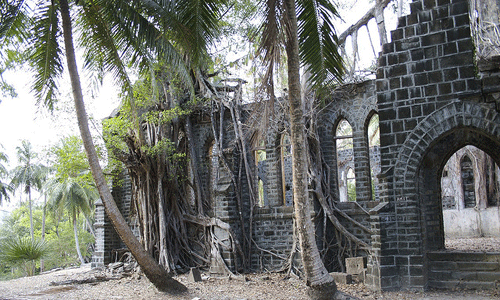 After proceed to Water Sports Complex in a boat to see under- water marine life and varieties of corals at North Bay After North Bay, proceed to Ross Island – the former residential and administrative island of the British during the Raj it now stands an imposing relic, with the structure almost in debris. A small museum displays photographs and other antiques of the Britishers, relevant to these islands. After exploring the Ross Island proceed to for a Harbour Cruise which includes a trip to tiny, serene, beautiful island called, VIPER ISLAND where the gallows is a sight to watch. Later in evening return back to the hotel. Overnight stay at the hotel. Overnight stay at the hotel. After Breakfast proceed to full day sightseeing of Port Blair which covers Chatham saw mill – the oldest and biggest mill in Asia, Forest Museum, Samudrika Naval Marine Museum, Science Centre, Anthropological Museum, which displays the tools, models habitats, art and handcrafts of the aboriginal tribes of Andaman & Nicobar Islands, After that we proceed to Corbyn’s Cove beach Shopping : In evening proceed to Sagarika – the Govt. Emporium of Handcraft and local market for shopping. Later in evening return back to the hotel. Evening is at leisure for your individual activities.Overnight stay at the hotel. Accommodation in the mentioned or similar hotels (in base category room). Daily breakfast in the mentioned hotels. 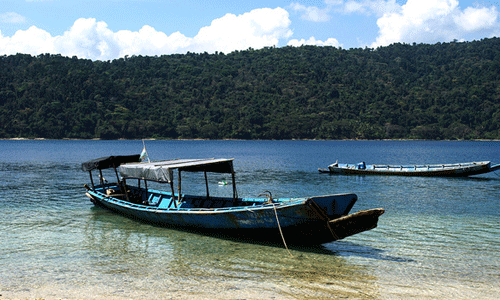 All transfers and sightseeing by AC Vehicle in Port Blair. Govt. service tax is extra on total billing. Child with bed : 05 to 11 years with Extra Bed. If you have not decided yet or wants to customize tour itinerary or hotels listed above in "Easy Escapes To Andaman Tour Package By Thomas Cook", then we can change the travel itinerary and make a personalized, tailor-made holiday package, especially for you. We can modify this travel package as per your itinerary, budget, duration and the tourist places you would like to visit, including transportation and airfare should be included or not. Please fill the form below to contact us. we need complete package i.e., right from air ticket to hotel (standard). my first preference is Andaman and Nicobar Island for 3 days tour and return by air to Hyderabad. We are family of 4 people.